In order to effectively and easily improve productivity we must systemize every job function as a discrete set of processes that are not dependent on any one person or personality. 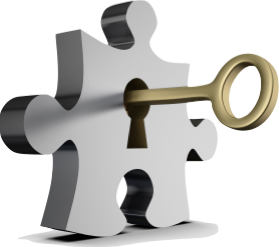 Said another way, your great sales system will evaporate if it only resides inside the head of your best sales person. When they leave, so does your sales system. This is true for every part of your business including your job! Without clear job functions, we get “swarm ball” – the work habit of constant interruption, reaction, and running to and fro – never strategic, always off balance. An “anchor” activity is defined as an action that is absolutely vital to the accomplishment of a particular job function. It must be done with regularity (scheduled) and in a specific way. It cannot be pushed off or forgotten. Anchors should comprise 10-20% of any job. Anchor activities “anchor” us as individuals to the accomplishment of our goals and the larger mission. As Needed’s are by nature unscheduled and usually make up 60-80% of a job function. Simple. Effective. 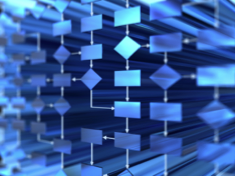 Project management should be easy and obvious. With MasterPlan™ it is! Whether in the office, out of the office, tentative or confirmed our scheduled time with others is critical to keep up with. 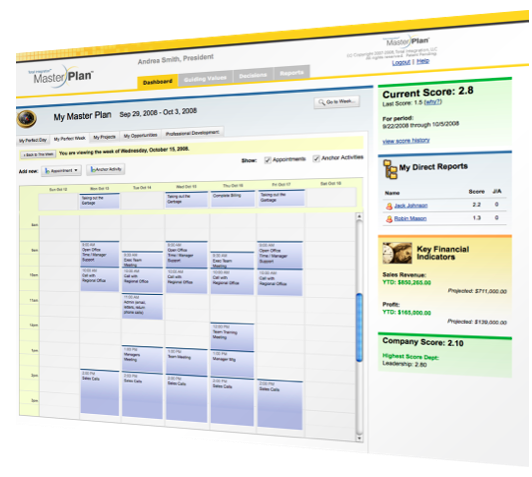 In MasterPlan™ you finally have full integration of your work and appointments.